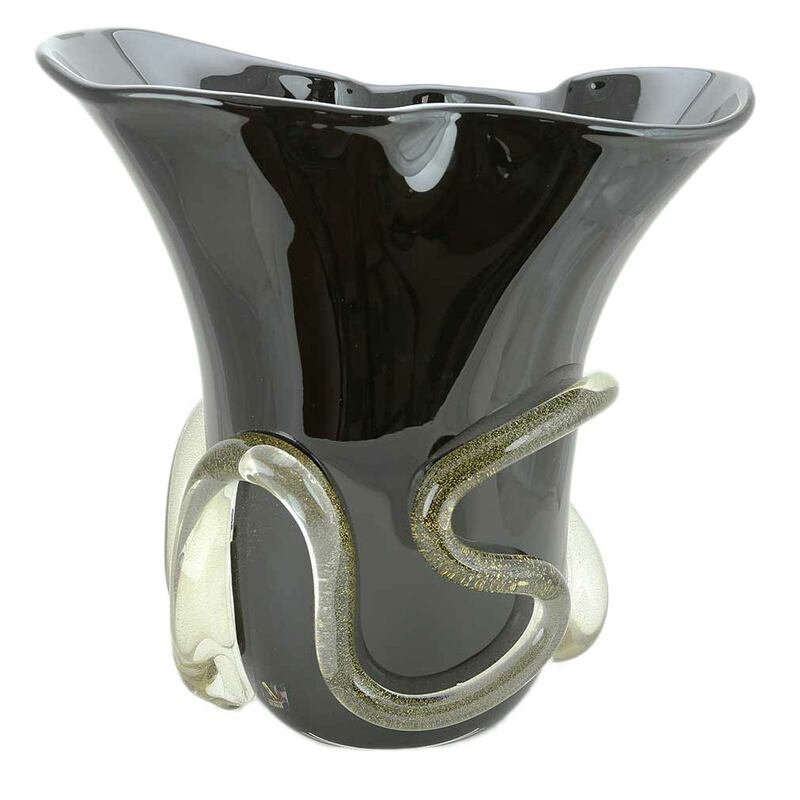 This stunning Murano Glass Centerpiece Vase is all about modernity, yet it is crafted in very traditional glass-blowing workshops of Murano Island based on a thousand years of Venetian glass-making. 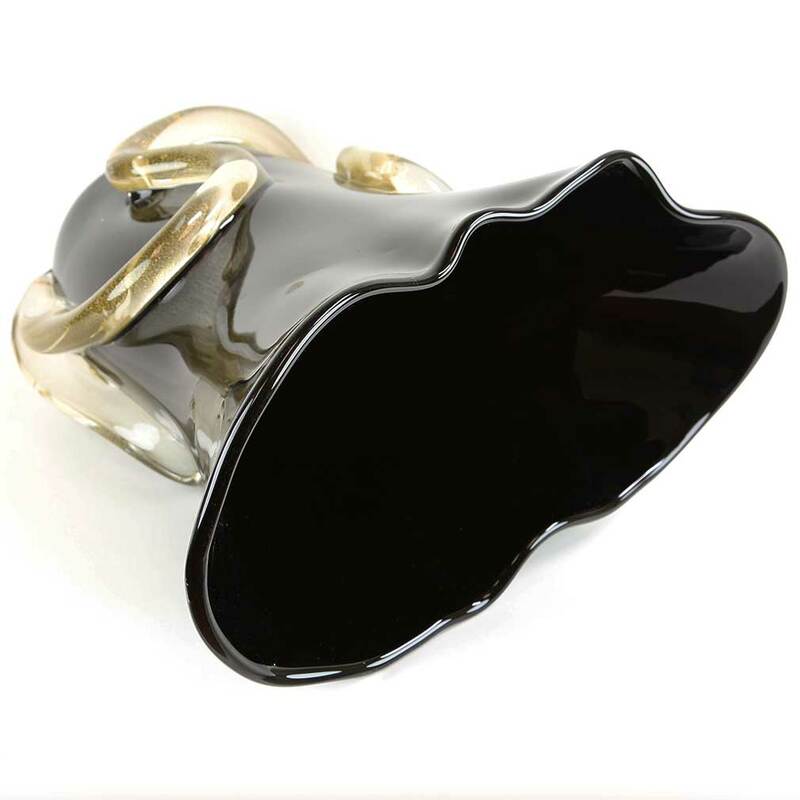 The vase is handmade by the artisans who come from generations of talented Venetian craftsmen. 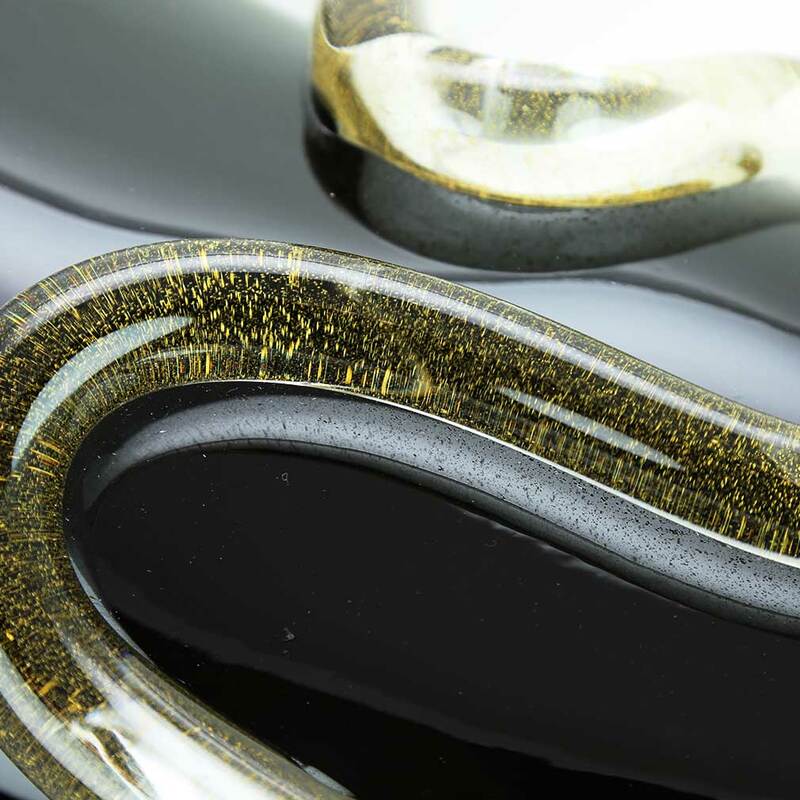 Rare pitch-black glass that is shaped so gracefully that it seems to be flowing, is accented by a single snake-like thread of sparkling gold. 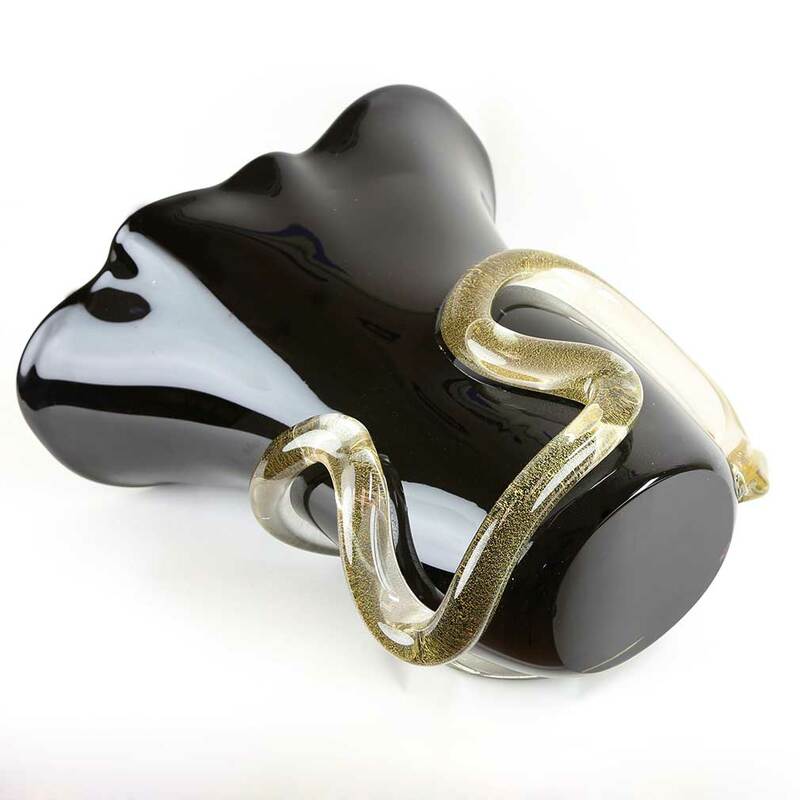 Strikingly beautiful, deceptively simple, yet a clear display of contemporary art, this gorgeous Vase stands for everything that fans and collectors alike value in Murano Glass: richness, originality, and fine craftsmanship. Not every master can create such Centerpiece, for it requires rare virtuosity of technique on top of talent and vision. 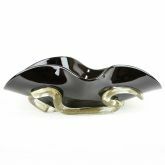 This Venetian vase is a perfect piece to highlight any contemporary home decor theme or an amazing gift for momentous occasions such as weddings, birthdays, or anniversaries. Measurements: This Centerpiece Vase is substantial and heavy despite its seemingly weightless look. It measures 16 inches in height; 16 inches in width in its widest part; and 8 inches across. The base measures 10 x 7 inches. The Vase is very well packaged to avoid damage in transit. 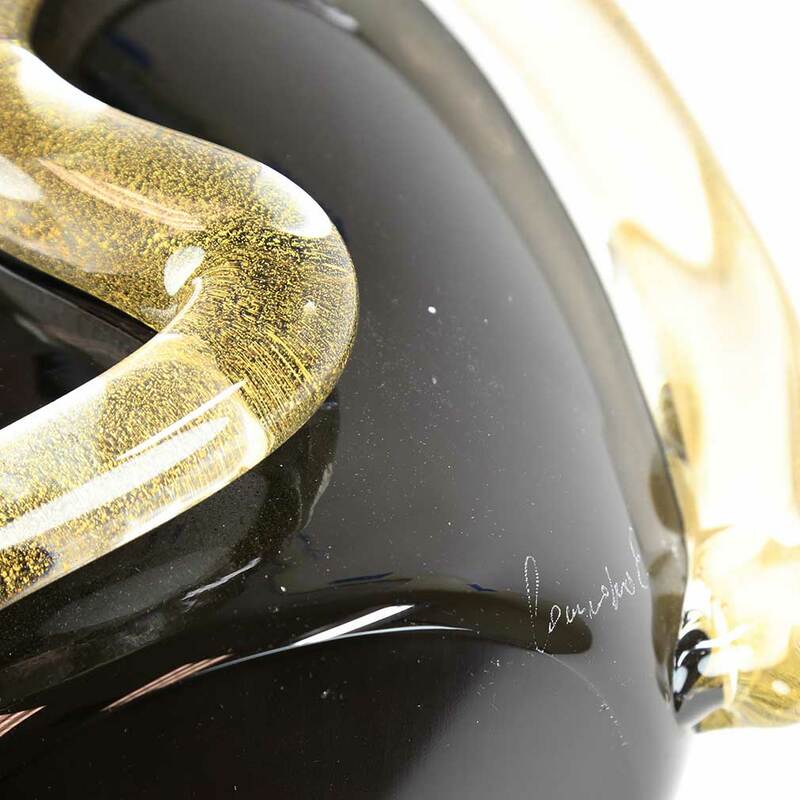 Authenticity: This Centerpiece Vase comes with the signature of the glass artist, the sticker of Murano's official Glassmakers' Consortium and the certificate of authenticity.